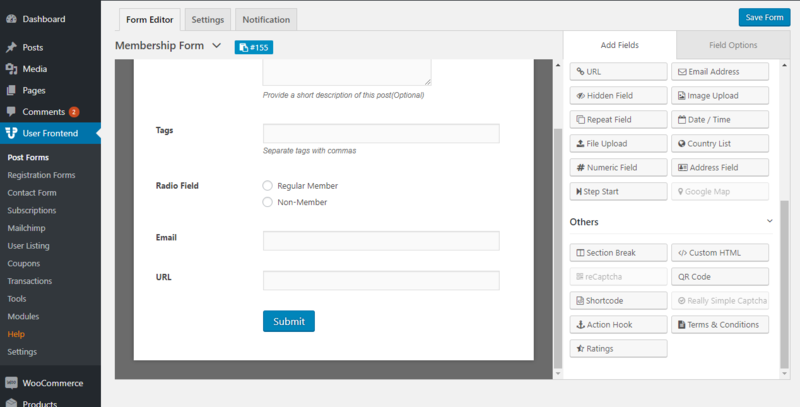 Conditional logic allows you to configure your form to show or hide fields, sections, pages based on user selections. It's simply like multiple choices where users select an option and it leads to another field as a condition to the previously selected option. This allows you to easily control what information your user is able to provide on your WordPress powered site and tailor the form specifically to their needs. 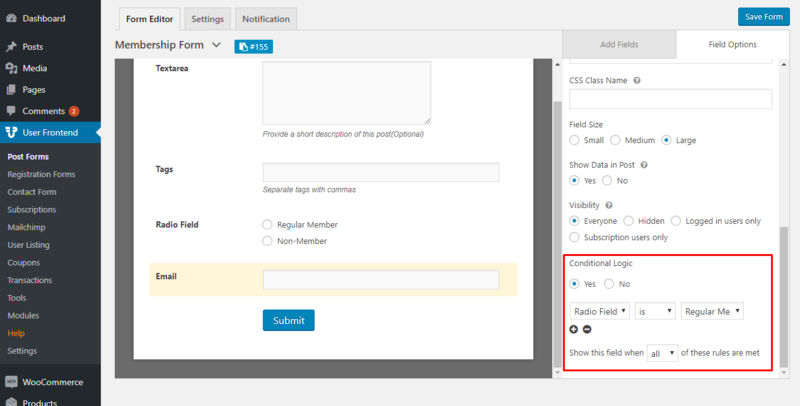 Drag and drop the RADIO button under Custom Fields on the right sidebar. Hover over the RADIO field and select edit. Click Yes to enable conditional logic. 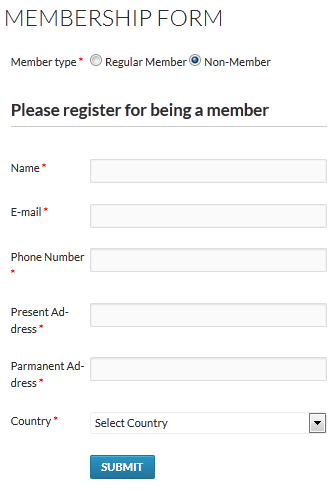 Select your desired RADIO label from the dropdown to apply conditional logic e.g select “Member Type”. 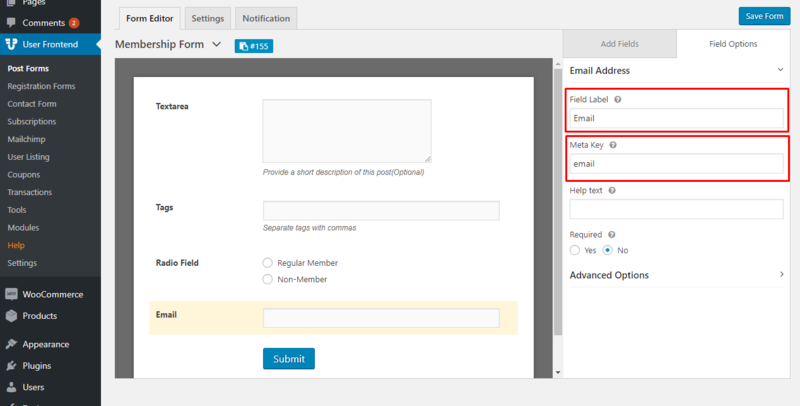 Now select a desired condition to be applied for this particular field (Email) e.g. “Regular Member”. In this way, you can add other conditions, such as, URL, country, address and many more, and attach them to the previously created options [Regular Member, Non-Member]. Now Save the form and click on the Publish button. 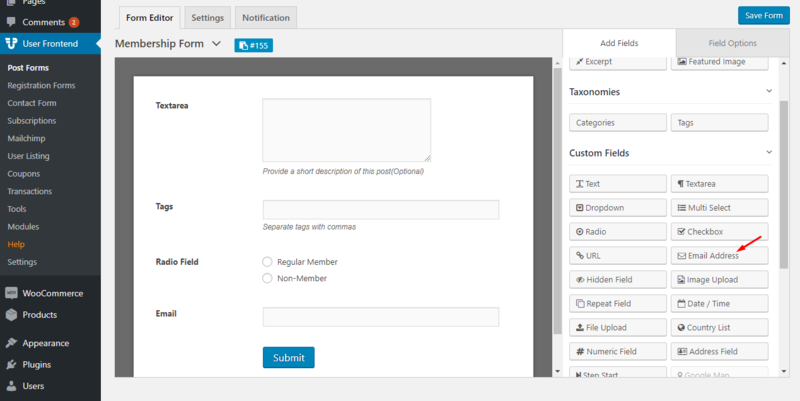 Finally, create another page and use the form Short-code. Now your users can see this conditional logic form on your site and fill it in easily!